Fiction and art have often been obsessed with time. Whether it be action films like Groundhog Day and Edge of Tomorrow, or TV shows like Doctor Who and Timeless, time is centralised in their lore and art often comments on the inevitability and passage of time. The gaming medium however has provided an interactive way for games to discuss the conceptual and ever-changing flow of time. Or, more generally, to arbitrarily change things up to illustrate game progression. To understand why the industry has so often deployed time into their games, we look back to ye olden times of the 1980s. The original Prince of Persia would come around to change platformers with cool animations and combat when it released in the US in 1989. However, one intriguing addition was a game-wide time limit. Gamers had one hour to beat the platformer, most likely to help with console limitations, but also helping to provide urgency to the game as well. Whilst a famous example, many games and developers toyed with the idea at the same time. Take 1987’s Bio-Senshi Dan: Increaser to no Tatakai. Released in Japan, the game depicted a 2081 alien invasion and your revolt against them, but the game employed a mechanic not seen too often, in which the speed at which you got to the final boss then determined said bosses’ power. Go quickly and risk not being powerful, or take it at a leisurely pace to be more powerful but face an exponentially stronger enemy? Whilst the game sadly didn’t get a western race, this bold approach is a fantastic example of how great time can be utilised. 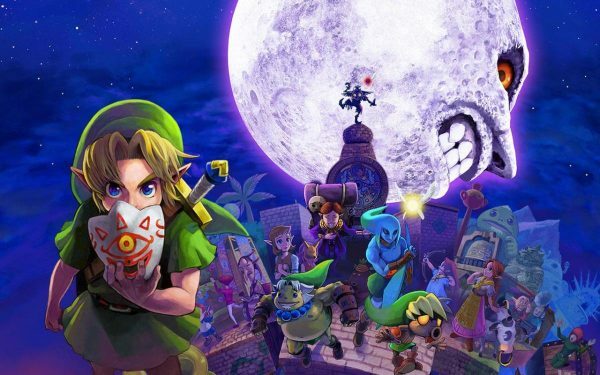 Of course, the most well-known western example comes from The Legend of Zelda: Majora’s Mask with its infamous 3-day countdown to prevent a very angry moon smashing into Hyrule. What the moon’s problem with Hyrule is, it’s obviously big enough to kick up that much of a fuss. Regardless, these three games are perfect testaments on how time mechanics can ratchet up the pace and tension across a game to provide a memorable experience across the game and not just in sections. Many games have inversely taken the approach to limit any time constraints to individual sections of gameplay to change the pace as opposed to keeping a game constantly frenetic. It’s proven to be effective with two great and strikingly similar franchises in the Metroid and Halo series. Metroid showed all the way back in 1988 that doing a final escape mission from an exploding ship set to ominous music with an on-screen timer can really end a game on a huge bang, a template that 2001’s Halo: Combat Evolved would then use for their final escape mission from an exploding ship set to ominous… you get the idea. Disappointingly, it seems like very few games use timers in inventive ways nowadays that benefit the gaming experience. That said, there are some diamonds in the rough. Mainly revolving around games incorporating time into their gameplay. Most of these have proven successful such as the time-bending puzzles in Jonathan Blow’s 2008 classic Braid and the more thematic use of time in Dontnod’s Life is Strange. The key to both those was using their mechanics in interesting puzzles whilst surrounding their respective games with other key elements such as beautiful visuals or gorgeous atmosphere. Other games have tried similar ideas to frame their gameplay around time, like 2016’s Quantum Break basing it’s entire plot around time and incorporating it wisely into play. 2012’s Long Live The Queen was set over 40 weeks, trying players to keep protagonist Queen-elect Elodie alive to the end of the game, leading every micro-decision into an extreme importance. A similar approach succeeded in XCOM 2, where the alien’s Avatar project was an omnipresent threat, with a timer at the top of the screen forcing players to consider the scientific research options carefully and adding tension outside of the already nerve-wracking field operations. A trend stands out amongst all of these. These examples all work because of context. All these timers are set within a contextual sense that also benefit the gameplay. There are lore-based first and gameplay second. They work because of these ideas. The gameplay is made to be built around these mechanics to fit them in meaningful ways. The disappointment I mentioned is because games are increasingly throwing in timers for other arbitrary reasons that don’t work to improve gameplay in a meaningful way. Whilst I praised XCOM 2 earlier, it did go overboard with the timers, incorporating them into almost every single mission, forcing the player to play the missions quickly. At least they were justified in the game. Meanwhile, the Dead Rising franchise has consistently used timers for all their quests. All of them. Every. Single. One. Often these timers were seemingly arbitrary, with no real story reason for the timers and they really undercut the core fun of running around endlessly in a mall mowing down the undead with endless creativity. Adding timers adds restrictions to a series that doesn’t need them. The same argument applies to 2014’s Lightning Returns: Final Fantasy XIII, using a week-long timer that could be extended to thirteen days. The system received mixed reception, with the game providing urgency, but clashing with the open-world. To be honest, that was the least of the game’s problems. Never the less, something highlighted is how modern open-world games struggle to use the mechanic effectively. Just creating a world and cramming it with stuff and a time mechanic is just throwing paint on the canvas and as Bob Ross would remind us, paintings take patience to make things cohesive. Something else games do is used timed events to create the illusion of progression. How many games run timed quests that promise SPECIAL ITEMS and LEVEL UPS? Games such as Destiny 2 and The Division 2 run ironically endless ‘timed events’ to get new items and experience. So many games fall on this nowadays, and I don’t want to sound like a jaded old man hating millennial’s obsession with avocados, but timers are becoming a lost art. A way for developers to say they are supporting players without evolving their games over time and changing up the experience. The 80’s showed how games built with these mechanics at their core could become hugely significant beyond their own decade. But here we are in 2019 and whilst indie developers are trying their best, I put it to the big boys. To all AAA developers, challenge yourself to work with time restrictions at the core. Who knows, we may get the next timeless game that limits time.